Best seafood in Las Vegas. 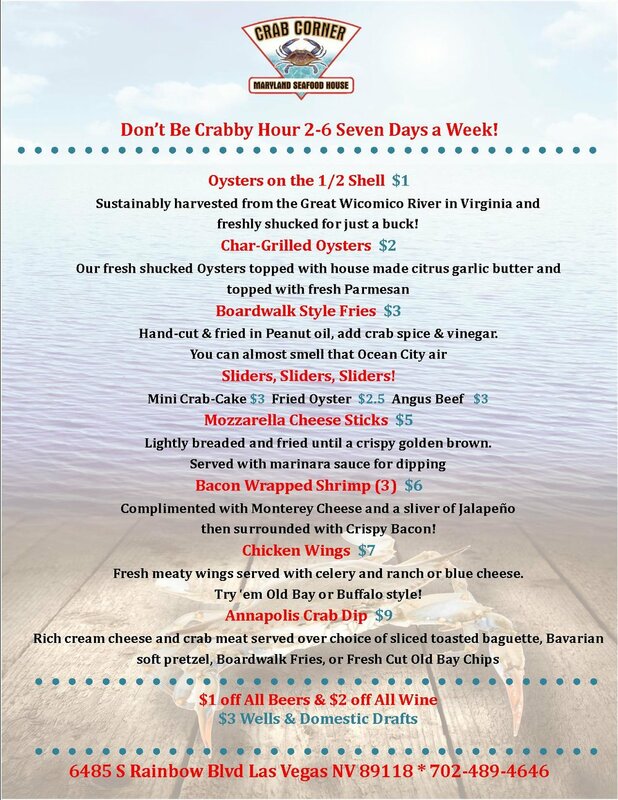 Don't Be Crabby Hour Menu available from 2-6 Seven Days a Week! Copyright© Crab Corner Maryland Seafood House. All rights reserved.